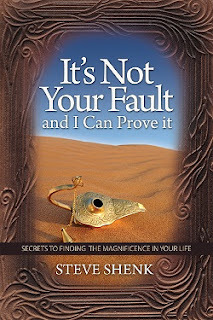 Steve Shenk, a food expert writes a new book on secrets to finding the magnificence in your life. Thanks to MomSelect for giving us a copy and letting us review it. The book itself is easy to read in style and length for any book-lover. I loved his use of the story line and quotes before each chapter really relate to the reader. This highly motivational and inspirational books provides hope and confidence in attaining dreams. Steve takes you on an adventure with Michael who is the student and a teacher, The Guardian. The Guardian's wise ways help Michael (could be any of us!) rethink about situations and occurrences to overcome guilt, stress, fear, and even pain. Michael is encouraged to get rid of the "Trash" in life and replace it with joyful things. I enjoyed being positively motivated by the book and hope you do too!